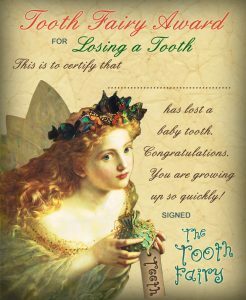 Below you’ll find our vintage-style Tooth Fairy certificates. These are often more popular with girls. Boys may prefer our modern Tooth Fairy certificates.